At the request of the European Commission (DG MARE), experts from a consortium led by DevStat carried out a mission in March 2014 to Bucharest and Constanta (Romania) to evaluate the implementation of the fisheries data collection programme. 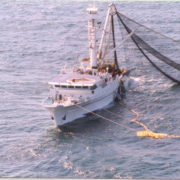 This includes the verification by a team of biologists, fisheries economists, IT experts and statisticias, of systems to collect statistics on the fishing fleet, the aquaculture and fish processing industry, as well as the collection of biological data on the species caught in the Black Sea. This mission is part of a framework contract with the DG MARE, under which missions to Belgium, Bulgaria, Denmark, France, Greece, Italy, Portugal and Spain were already implemented, to be followed by Lithuania and UK. Big Data – The programme is now online! Please, visit http://cros-portal.eu/content/big-data-event-2014 for additional information on the ESS Big Data Event – Rome, 31 March – 1 April 2014. Learning, development and Human Resources – How to elaborate university curricula for tomorrow’s Data Scientists? How to train today’s statisticians and IT specialists so as to make them prepared to cope with the data deluge? The draft Programme is now online at: http://www.cros-portal.eu/content/big-data-event-2014-programme. https://devstat.com/devstat/wp-content/uploads/2014/03/DevStat_ESS-Big-Data_2014.jpg 685 1800 admin https://devstat.com/devstat/wp-content/uploads/2016/11/Logo_Landscape_DevStat_HD-300x74.png admin2014-03-20 08:55:392016-11-16 15:40:04Big Data - The programme is now online! 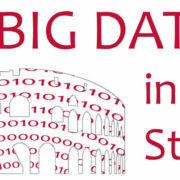 Modernization of European Official Statistics through Big Data methodologies and the best practices: ESS Big Data Event, is planned in Rome (Italy) for 31 March-1 April 2014. The Event will be organised by Eurostat with the support of DevStat (as a leader) in consortium with ISTAT, Dialogic, Verbivis and the Fachhochschule Nordwestschweiz Hochschule. In many sectors of society, Big Data is playing an increasingly important role. In the private sector, Big Data offers many companies the opportunity to increase their efficiency, for example by giving greater insight into customer demand. While there does not seem to be one single definition of what Big Data is (or is not) there seems to be a consensus that Big Data may be of real interest for Official Statistics. The European modernisation Workshop, organised around the ESSnet and ESS.VIP programmes took place in Valencia on 23-24 January 2014. 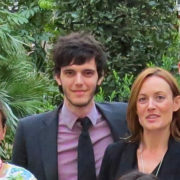 The workshop was organised by Eurostat with the support of a project consortium headed by DevStat. The workshop was open to all colleagues in the ESS interested in work and results of the the ESSnet and ESS.VIP programmes. Collaboration – collaborating within ESSnet projects. The Workshop was a complete success: Valencia received more than 90 participants from 28 different countries and more than 48 presentations took place. At DevStat we are now preparing our next Event: Modernization of European Official Statistics through Big Data methodologies and the best practices: ESS Big Data Event Roma March 2014.